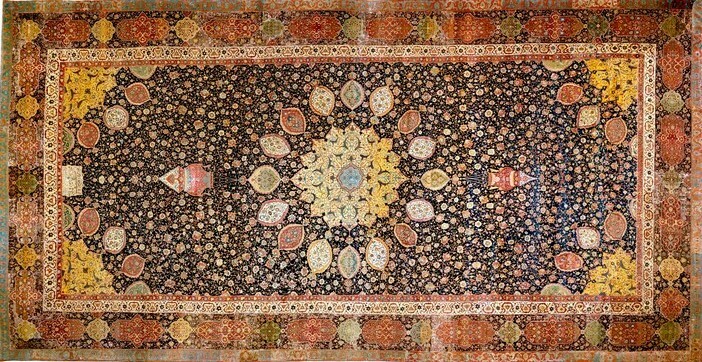 Whether an Oriental rug has been obtained through inheritance, purchase or elsewhere, many owners and collectors may find themselves no longer interested in their ornamental piece. This can be the result of evolving styles and décor, or sometimes involve an error in judgment during the purchasing phase. Ahdoot understands the need for customers to sell their Oriental rugs, as we often assist clients with the process of selecting new rugs from our inventory to replace their unwanted heirlooms. Though your rug may not contain the aesthetics you require, there are likely many others who are searching for the color schemes and design work built into your Oriental rug. Rugs can be a precious commodity, depending on their condition, age, origin and the historical aspects that play a part in their overall value. When you’ve finally decided that you’re interested in parting ways with your Oriental rug, knowing what specifics buyers are looking for can make a difference in what expectations to have in terms of imbursement. Much of a rug’s condition is relative to its age, as many that are antique or semi-antique have rarely been found in like-new condition. Doing a thorough check on the fringe, side cords and pile can give you a clear indication of the current state of your Oriental rug, which is an important aspect in determining its value. Also, the more complete the designs are, as well as the boldness of the original dyes, can help you get a clearer picture of what your rug might be worth. As above, one of the apparent signs of a rug’s age is how well it has stood up during its display and use since its manufacture. Older rugs often show signs of wear to their pile, designs and coloring, which may give you reason to investigate the rug’s history further. However, newer rugs of poor workmanship or materials may also have wear that can confuse the age of a rug for those who don’t already know its period of construction. Knot density – The type of knotting used on your rug, as well as the number of knots per square-inch, is vital to knowing how finely crafted your piece is. Those that contain the highest number of knots are often the most valuable. Also, rugs having particular types of knotting show they have either been skillfully woven together, or possibly exhibit poor workmanship. Materials – The types of threads utilized in your Oriental rug is also a significant factor relating to its value. Fine wools and silks will increase its worth and make it more desirable for collectors and future owners of your rug. The types and quality of dyes also help determine the worth of your decorative piece. Design Elements – This is where the origin of your rug becomes much clearer. Each area of the world, and time period, exhibits a certain style of design work pointing directly to their commonly attributed features. Also, the more minutely detailed the work is, the more merit is placed upon the rug’s value. While many of these items can be discovered through educated analysis, many are unaware of the specifics to look for during inspection. This is why Ahdoot employs highly-trained and certified specialists to not only appraise Oriental rugs, but also assist customers during their sale. We also offer services to have your Oriental rug cleaned and repaired, which can add to its overall value in the marketplace. Many find after having these services performed, they once again realize the stunning beauty inherent in their Oriental rug.